Due to their different combustion behavior, organic samples (f. e. fuels) cannot be processed in an induction furnace. 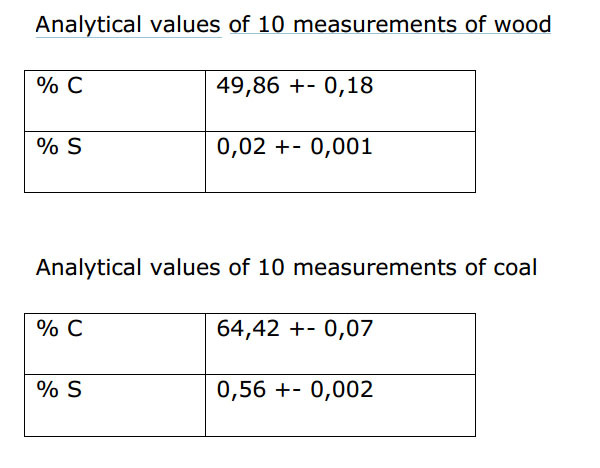 Fuels which are typically used in the cement industry (coal, coke, secondary fuels) have a much higher carbon content than cement and can only be measured with a resistance furnace at temperatures about 1300 °C. After reducing the particle size of the fuel sample down to approx. 200 µm, which can be easily done in an ultra centrifugal mill, a representative sample of up to 500 mg can be analyzed directly without adding accelerators. The carbon and sulfur content is obtained within 120 seconds. 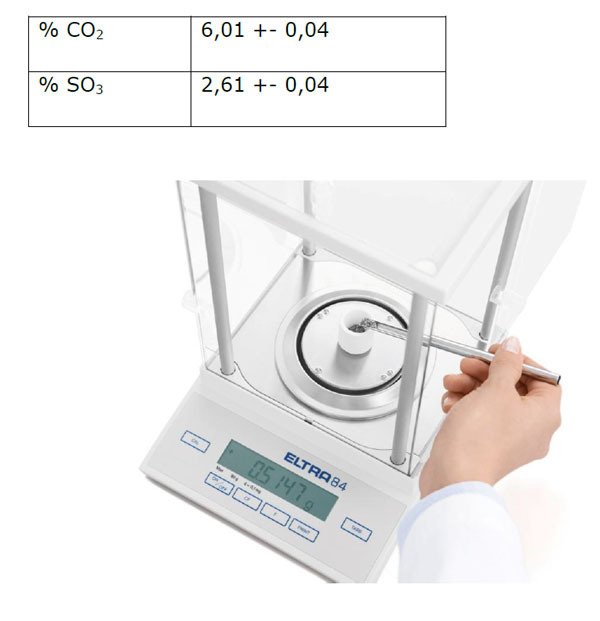 Basically, the lab staff has to decide whether an elemental analyzer with induction or resistance furnace is best suited for their requirements. ELTRA’s CS-2000 (fig. 1) is the only analyzer in the market which combines these two combustion techniques (Eltra Dual Furnace Technology) and is therefore ideally suited for a variety of analytical applications in a cement plant.